Released on Playstation in 1996, Blood Omen: Legacy of Kain is a Zelda inspired, action adventure game with a top down perspective, a dark art style and a focus on storytelling. Created by Dennis Dyack and Ken McCulloch, Legacy of Kain was the first in a prospective anthology series, focusing on mature storytelling to match the growing shift in Video Games’ demographic from largely children to young adults and older. It was also Silicon Knights’ first in house production, having previously developed titles for Strategic Simulations Inc. for Amiga, DOS and Atari ST computers. It was initially to only be published by Crystal Dynamics, however complications in Crystal Dynamics’ business plans going forward, and a lack of any tangible development from Silicon Knights, lead to a huge number of staff travelling to Ontario to co develop the game for Playstation. The history of Silicon Knights is kind of, an incredible and labyrinthine mess, and that mess begins with Blood Omen. I hope to discuss some of the history, at least surrounding the development of this game in this thread, if not their entire history. It’s also a really good game in it’s own right, plus it sets the basis for the series going forward, which are better games with a better executed story, but the grounding in Blood Omen helps. Dyack and McCulloch are abhorant individuals, Dyack is a notorious bully, and harasser, and Ken McCulloch was arrested for possession of abusive images of children in 2013, however they were far from the only people working on the game. A staff that included the future director of the series, Amy Hennig, however, If anyone is uncomfortable watching this LP given the history of it’s director and writer I won’t blame you at all. But if you do stick around I hope to show you what I love about this game. This will be a subtitled video LP of the game. I’m not confident in my own ability to chat over this game alone, and there’s so much dialogue that I feel like it’d be interrupting the game if I was doing audio commentary. Also, I am aware of the issue with the game being 4:3 with the videos rendered to a 16:9 ratio, but it only persists for the first four episodes, the rest are cropped to the right aspect ratio. For the thread I’m playing, not the Playstation version, but the PC version, modded to run on modern systems, which eliminates the notorious load times from the original game. As for the thread rules, please keep the following in mind. Absolutely zero spoilers: This game has a pretty neat story, and is better experienced blind. If you know the story it’s fine to allude, vaguely, to things happening later, but no spoilers. Other than that, if it’s happened in the thread, it’s open to talk about. I plan to update every week. EDIT: 28/1/19: Hey, so after an extended hiatus, I’m shifting to a target of one episode every other week. Still in 16:9 with borders but there’s actually only one more episode like that coming up after that it’s all good and square! So, Silicon Knights was formed in St. Catherines Ontario in 1992, co-founded by Dennis Dyack, a graduate of Computer Science and Physical Education from Brock University. Knights quickly released a strategy game for the noted publisher SSI called Cyber Empires, which the Wikipedia entry describes as a kind of mix between Risk and Command and Conquer. This was quickly followed up by Fantasy Empires, a licensed D&D game also for SSI, im 1993. It was around this time they were creating and shopping around proposals for their own adventure games. Two were suggested, both focused on story telling, a fantasy game called Pillars of Nosgoth and a Science Fiction game called Too Human. While finishing work on their third title for SSI, Dark Legions, Dyack met Crystal Dynamics producer and notable creator of cursed amphibious mascot platformer, GEX the Gecko, Lyle Hall where they hit it off based on their shared desire to create games with a grander scope than the contemporary industry standard. At this point I’d like to remind you that GEX has a tragic backstory about his father dying and his descent into depression in front of the TV so I guess that tracks? Silicon Knights sent their pitches to Crystal Dynamics, who were both developers and publishers at the time, and while they were interested in Too Human, fantasy was viewed as a more preferable genre to work in, and they chose to develop Pillars for the Panasonic 3DO Interactive Multiplayer, according to some sources. Others state that it took months to decide what the platform was going to be, leading Silicon Knights to commit to eight months of work on the game before they and Crystal Dynamics had settled on the newly announced Sony PlayStation as the platform of choice. This is the version of events I tend to believe more, as it’s woefully unoptomised for the console. Plagued by frequent, long load times. It was their first game on a console, it was an unreleased console at the time, and the later PC port of the game always ran better. Whether this is due to the extra year in development or their experience with DOS is a different matter though. a game where there was no ultimate weapon and armor. A game where you had to use your head as well as your reflexes. The initial treatments and documents for Pillars has never been released, however many of the initial sketches and concept art was. Some was collected as extras in the final game in the Legacy of Kain series in 2003, many of it leaked. They’re actually the images I’m using for the episode list. We’ll get more into the development history next week, thanks for reading. I’m liking the game so far. Could I ask that maybe the text was a little bit smaller and with a darker drop shadow? It’s kinda hard to read at times. Thanks, yeah I’ve been struggling to keep the subs consistant trying to work out my process as I’ve been going. I’m going to start adding an outline going forward to make them more legible. No Silicon Knights post this week, but we’re rocking a new format for the subtitles and starting from next week, the videos are properly formatted to 4:3!! This week we’re finally taking down Nupraptor. We’re also finally in 4:3 going forward. I’ll be adding the second part of Silicon Knights history to this post later in the week. EDIT: Nevermind it’s on the next post. In 1994 the game changed scope from what is, reportedly, supposedly a game for the 3DO, and turns into a much bigger undertaking. Silicon Knights hired on a much larger amount of staff. reportedly doubling in size, and work continued on the PlayStation version of the game. This work would go on for… a while. 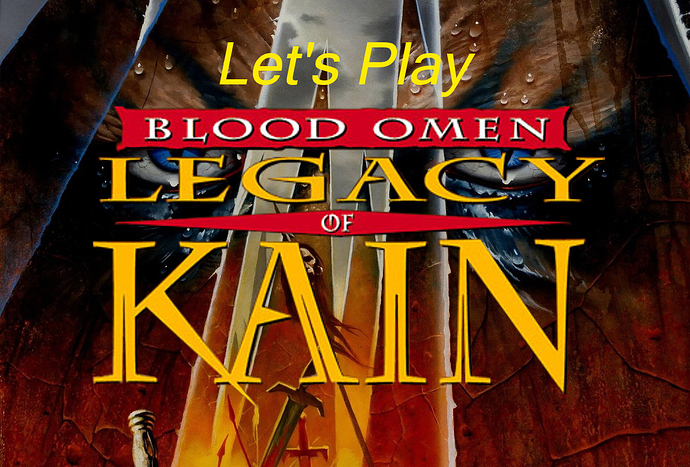 Pillars, now renamed Blood Omen: Legacy of Kain, was showed at E3 1995, where, as one of the few 2D focused games at a time where industry hype was surrounding the 3D capabilities of Sony’s PlayStation, Nintendo’s Ultra 64 and ATI and 3Dfx’s new and upcoming GPUs, Blood Omen went largely unnoticed by the contemporary press. Silicon Knights cite Die Hard Game Fan magazine for the “Best of E3” award that Blood Omen received but that’s largely it. In order to sell the focus on storytelling and to take advantage of the capabilities of multimedia consoles such as the PlayStation, Blood Omen was to feature full voice acting. Casting calls were sent out through Hollywood agents, relative unknowns were cast in several roles including Anna Gunn, most known at the time as a recurring actor in Fox sitcom Down the Shore, as Ariel and Royal Shakespeare Society member and Stage Actor Simon Templeman in the lead role. They also cast veteran voice actors such as Tony Jay and Neil Ross in roles for the game. By 1996, Blood Omen had been in development for 3 and a half years or so. Crystal Dynamics were beginning to shift away from publishing games, pivoting more towards a pure in house development studio. Their last third party publishing game was for a tie in to the TV Show Blazing Dragons and their last self-published game was to be Pandemonium!. With all their future games to be published by dedicated companies going forward, their only outstanding title was Blood Omen. Crystal Dynamics would send a number of developers to St. Catherines, at their own personal expense regarding accomodation, to help push Blood Omen out the door. Largely consisting of programmers, and coordinated by Design Manager, Amy Hennig. The game was given significant rewrites to it’s story and dialogue, largely to replace the archaic names McCulloch had given many of the Circle to be more marketable, and the game, with the help of Crystal Dynamics striking a distribution and manufacturing deal with Activision, finally launched on Sony PlayStation in North America on November 15th, 1996. In order to distinguish Blood Omen as a Silicon Knights made game, Silicon Knights took methods to outline their involvement in the development. The game opens, as you’ve seen, with this title card. Each member of the development and marketing team, as well, are distinguished in the credits in game by either an “SK” or a “CD” denoting which company they worked for. This is a first in the industry. We hope we have established a trend for other developers. There is a palpable sense that, while the rights to the game would belong to the publisher, Silicon Knights would be left behind in the wake of the deal struck between Crystal Dynamics and Activision… and they wouldn’t be entirely wrong about that. Hey guys, just a quick update since I haven’t updated for the last couple of weeks. Taking a bit of a break cause of life stuff. Still working on episodes though, just slower, I’ll get them up on a regular schedule again when I can. maybe a week or too. Hey guys, finally back at it again. I’m going to be shifting the schedule around to make sure I can release these more consistently, but this whole thing’s been a learning experience and I’m taking stuff on board from it. I’m thinking I might aim for once a fortnight instead of every week. Anyway, this episode we’re finally hunting down Malek, the Conflict Guardian. This update we spend some quality time in a dark hole. Silicon Knights posts resume next update! Blood Omen was a break out hit garnering positive reviews from critics of the time, and selling remarkably well for a 2D game on the new PlayStation console. Jeff Gerstmann at Gamespot gave it a 7.1 comparing it favourably to Beyond Oasis and Zelda, IGN gave it an 8.5, Electronic Gaming Monthly named it their RPG of 1997, beating out Suikoden, and citing the voice work, atmospheric FMVs and it’s mood. It is usually had to get concrete numbers about how well a game sold in the late 90s but thankfully Silicon Knight’s history is no stranger to litigation and in 2011 as a result of one such instance it was revealed that the game had sold at least 320,082 copies in it’s lifetime. It had paid off, they’d put out their own game and made it a success. There was a PC port released late in 1997, which due to uncertainty about ownership, has never been re-released. During the launch period an enhanced Saturn port was announced, promoted with the PlayStation version and then disappeared. There’s conflicting reports about what happened to the port. One interview for SegaSaturn.com claimed the game was 100% complete but not being picked up by Activision due to an uncertain market for the Saturn. Silicon Knights would later refute the idea that it had been finished, saying it had been started and cancelled during 1997. To be fair, Silicon Knights had their own problems to deal with outside of porting Kain to Saturn. During the release and success of Blood Omen, Activision had struck a deal with Crystal Dynamics to make a sequel to the game. Two teams would develop pitches for Kain 2, an internal Crystal Dynamics team, and Silicon Knights. Nothing is known about these proposals, largely as a result of legal action from Silicon Knights. Feeling they were going to lose their successful original IP and claiming that Crystal Dynamics had misrepresented themselves as developers of the game (remember, several members of CD’s staff did develop the game with Silicon Knights) they took the company to court over Blood Omen. The only information we have from the pitches is that Crystal Dynamics wasn’t satisfactory to Activision, and Silicon Knights claimed Crystal Dynamics interfered with their pitch, leading to the court case. We do know that Dyack had intended to make Blood Omen a series and that Vorador would be the star of the new game. The meat of the law suit was as follows; SK entered into negotiations with CD to fund the game in exchange for the publishing rights. 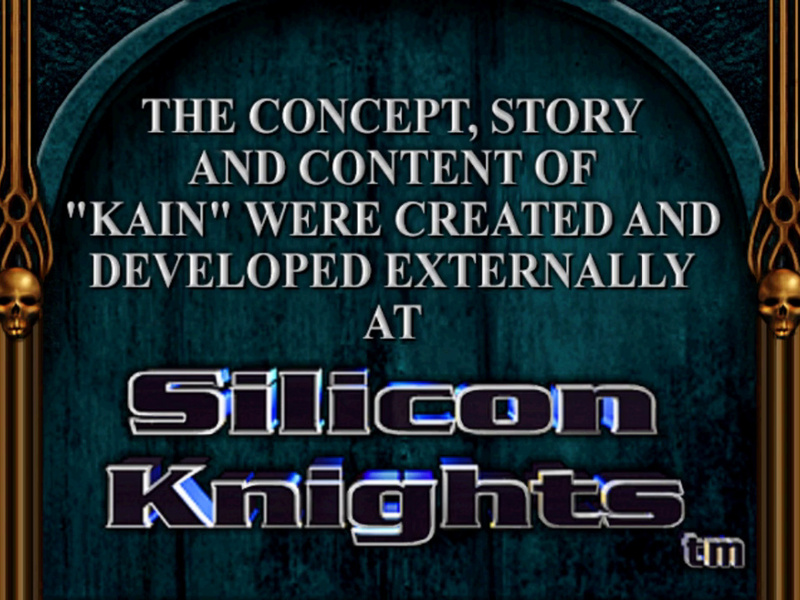 Under “financial duress” SK agreed to assign all of Silicon Knights’ intellectual property rights, including the rights to any derivative works, to CD. They claimed that CD had deliberately refused assistance that lead to the large delay in development, they had held off on paying royalties during development and had “secretly” solicited and employed third party contractors to “shadow” Silicon Knights in an effort to steal trade secrets and supplant SK as the developers of Blood Omen. The suit was settled out of court. Crystal Dynamics would retain the rights they had been sold by Silicon Knights without contest, so long as they would credit Knights as the developers of the original game. Crystal Dynamics would retool a game in pre-production as a sequel to Blood Omen, and the Legacy of Kain series would continue. For Silicon Knights, it would end, and they would look to Dyack’s passion project. Too Human. This week, we finally meet the hostest with the mostest. Since the last update was a week late and next Sunday is St. Patrick’s Day I figured I’d get this out as soon as I could. Wow so I just realised it’s been over a month since I updated. I’m working on updates. I’ve also got stuff happening dragging it back. I’m going to be punching up the pace of episodes though because this “Big Dungeon Episode!” followed by “Walking to the next dungeon” in the middle isn’t working because a) It’s a big part of why I’m dragging my feet at the minute and it’s getting hard to fill them with anything resembling meaningful commentary so Episode 10 will be the last one of those and I’m going to get more cut happy to keep the pace from dragging between dungeons. I’m also, never doing an entirely subtitled LP again. This is all part of a learning process for me and I know what I’ll do differently next so we’re gonna have to start pushing through Blood Omen and getting to the end. Thanks for being patient if you’re still reading the thread. Updates resume soon. Well, I do like the idea of subtitled LPs, but they are time-consuming so I can understand the pains with doing one. As you said, it’s part of the valuable learning process!